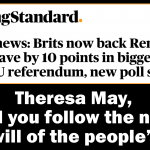 Like an irritating parrot, the Prime Minister Theresa May keeps repeating that she’s delivering the ‘people’s will’ and ‘there won’t be a people’s vote’. The two phrases are incompatible. They oppose each other. Theresa May may be described as a tough bird, but as far as facing up to us, the people, she’s a chicken. 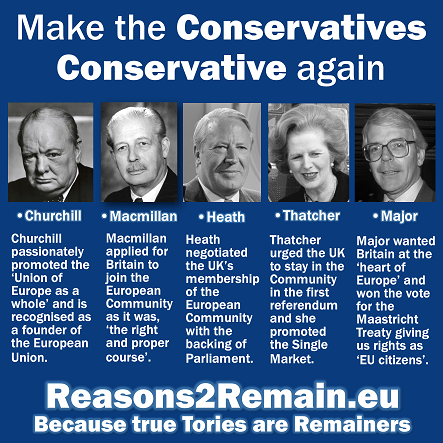 Nobody knew what Brexit meant in the referendum, and in that referendum Mrs May herself advised the country that staying in the EU was in our best interests. Parrot or chicken, she’s got some neck. Telling us on the one side of June 2016 that Brexit will harm the country, our trade, our economy, our security and the cohesion of the United Kingdom. Then on the other side of June 2016, telling us that she’s the one who’ll deliver all the things she told the country not to do. Ever since then she’s been squawking what Brexit means. It means Brexit. It’s red white and blue. But her phrases meant nothing to no one. It was for the birds. But now, over two years after that fateful day on 23 June 2016, Mrs May has delivered over 500 pages of what Brexit means (or at least, what the divorce settlement means – we still don’t know what our future relationship with Europe will mean). And what do you know? Nobody wants it. Remainers don’t want it. Brexiters don’t want it. Several of her Brexit ministers, their feathers ruffled by a Brexit that was not in their image, have flown the nest. They’re now roosting in a furtive corner, plotting ways to oust Mrs May and re-arrange the pecking order of the government. The rest of the government are in a flap, running around like headless chickens. They’re hoping to get their Brexit plan through on a wing and a prayer. Of course, it’s doomed. Brexit is one big bad egg. Last Thursday, Mrs May went to the House of Commons to explain her recipe for Brexit. But she was in for a roasting. MP after MP stood up to say they didn’t want it. Her Brexit plan, they said, was as dead as a dodo. Oh yes, Mrs May certainly looked as sick as a parrot. But she was defiant too. She’d see Brexit through. She was delivering the will of the people. 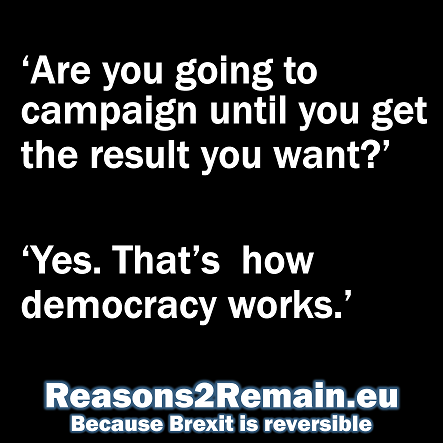 And no, you can’t have a people’s vote. Parrot, parrot, parrot. Ever since Mrs May started on the road to Brexit (a road she previously told us not to travel) she has wanted to thwart democracy. No, Parliament couldn’t have a say on triggering Article 50, she said. The decision was made by the referendum. But she lost that argument in the courts. Both the High and Supreme Courts confirmed that the referendum was advisory only. Only Parliament has sovereignty in the UK, the courts ruled, and Parliament must have the final say. Last year, when the government produced impact assessments on Brexit, Mrs May and her government refused to reveal what they were. Parliament had to force the government to reveal them. And it’s been the same this week. Mrs May’s government didn’t want to show Parliamentarians the government’s detailed assessments of her Brexit plan, agreed last week with the EU’s chief Brexit negotiator, Michel Barnier. Jo Johnson, a transport minister in Mrs May’s government, who resigned last week because he couldn’t support that plan, has turned out to be quite a wise owl. “If we have learned anything from the chaos of the past 30 months, it is that facts are sacred. This debate has been characterised by falsehoods and misinformation from day one. That’s a feather in your cap, Mr Johnson (Jo, not Boris). Today, Mrs May lost yet another attempt to thwart democracy and justice. The Supreme Court ruled against a government attempt to stop the European Court of Justice from ruling on whether the Article 50 notice could be unilaterally revoked by the UK. A cross-party group of MPs, MEPs and MSPs, along with Jolyon Maugham QC, the director of the Good Law Project, had asked the Scottish courts to rule that the case should be referred to the European court in Luxembourg for an urgent ruling. So, despite Mrs May’s attempt to stop the course of justice, the European Court of Justice will now hear the case on 27 November. At every awkward step of Theresa May towards her cloud-cuckoo Brexit, she has tried to circumvent both democracy and justice. To pass Brexit, she has attempted to bypass Parliament, and spent millions of pounds of our money on legal fees in what turned out to be a futile, and time consuming, journey through the courts. and, despite the fact that poll after poll now show that most people in the country want another vote on Brexit, and that in a new vote, Remain would win. So, it’s clear that Brexit is not now the ‘will of the people’ (and probably never was – nobody really knew what it meant). 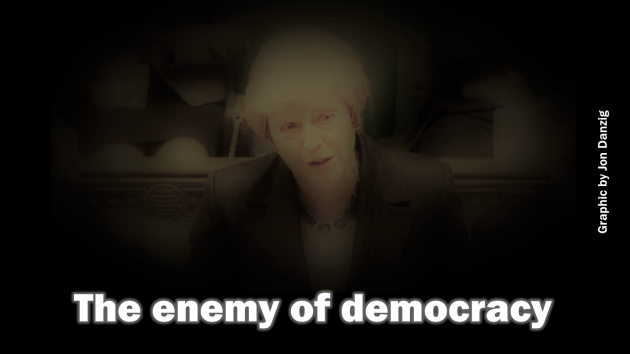 Mrs May thinks that those who are calling for a new vote are ‘the enemies of democracy’. But this is what psychologists call ‘projection’. This is what Mrs May is doing every day. She is attempting to project on to us her crimes, so that we are blamed. But it is her that is guilty. She is the enemy of democracy. She is the enemy of justice. She is the enemy of the people. Her Brexit plan is bird-brained. 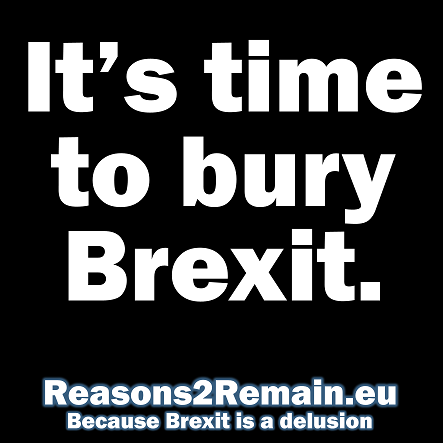 Both Brexiters and Remainers want to kick it into the dust. The chances of it getting through Parliament are close to zero. It’s a dead duck. Brexit is out of control. The Prime Minister can’t fix it. Parliament can’t fix it. It’s time for us, the people, to come to the rescue. Ask us. Find out what is today’s will of the people, then act on that. Don’t chicken out. 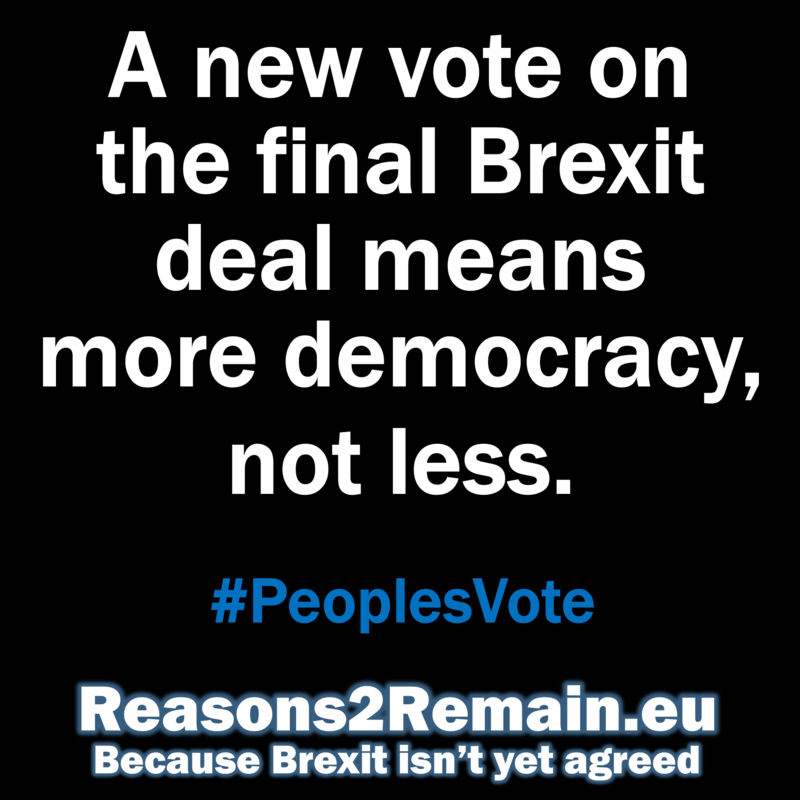 This entry was posted in Current Affairs, Democracy & Citizenship, Politics & Public Policy, The EU and tagged Article 50, brexit, democracy, EU referendum, European Union, Theresa May. Bookmark the permalink.